Registered charities in Canada must take steps to reduce their risk of being audited, penalized or, in the worst case, having their charitable status revoked. 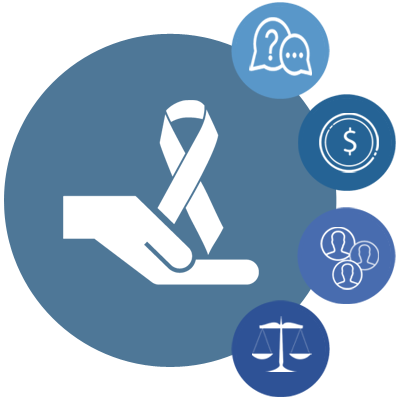 This whitepaper identifies the most common compliance concerns charities face today and offers tips to make these challenges easier to handle. More than 30 HR and payroll policies may be required by statutory and common law. Does your workplace have all the employment policies that are essential to comply with your legal obligations? This whitepaper has all the information you need to start developing, updating and implementing the required policies and procedures. The numbers—and the courts—don't lie: employment standards compliance errors are made every day. Unfortunately, even the simplest errors can often be very costly for employers. Fortunately, these errors are entirely avoidable, and this whitepaper will help you to identify the most common mishaps and prevent them from occuring. 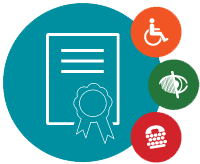 As of January 1, 2017, all employers in Ontario must ensure accessibility throughout their HR practices, policies and procedures on workplace recruitment, performance management, return-to-work processes. career development and accommodation. This whitepaper will guide you through the essential steps every organizations must take to meet these requirements. 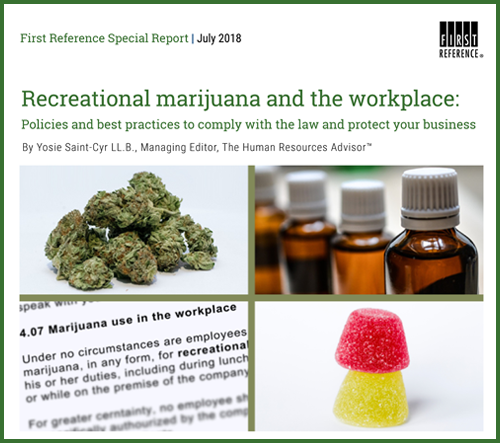 This special report briefly outlines the difficulties employers face in dealing with legalized recreational marijuana, the legal context at the federal and provincial/territorial levels, and how employers can manage the many challenges and reduce the risks associated with employee marijuana use by using effective and compliance-focused policies and best practices. Alberta Bill 17, the Fair and Family-friendly Workplaces Act received royal assent on June 7, 2017. 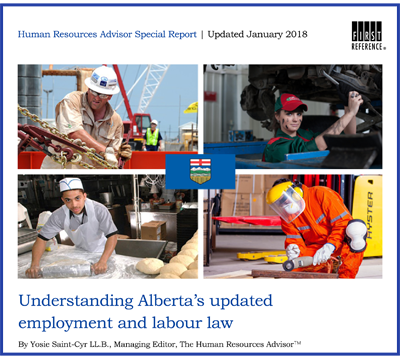 The new law makes the most substantial changes to Alberta’s employment and labour relations requirements in 30 years and the majority of employers with workers in Alberta will be affected. In addition, new Employment Standards Code Regulations filed on December 30, 2017, make additional changes and clarify certain rules found in Bill 17. 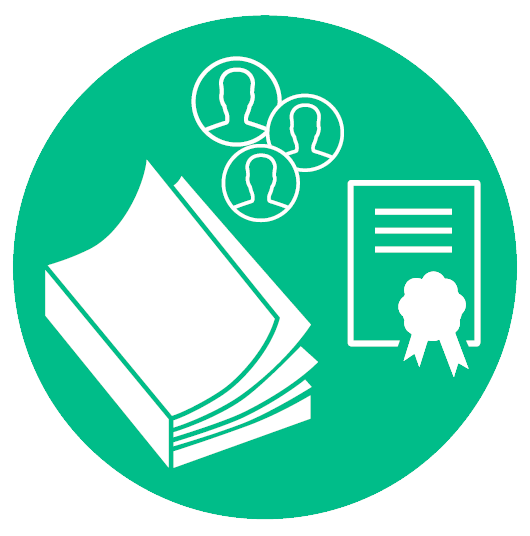 Employers are required to post certain documents under employment and labour standards so workers are aware of their rights and the employer’s legal obligations. If fact, during inspections or audits, workplace postings are among the first things government inspectors look for. 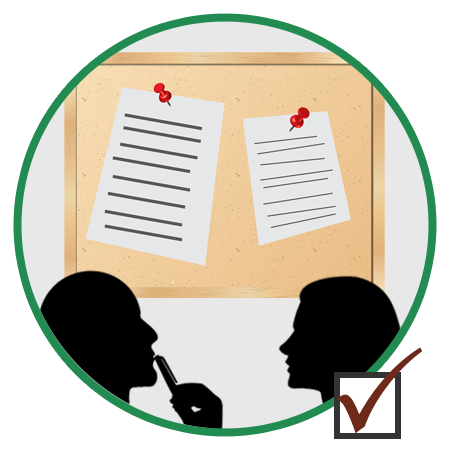 This checklist highlights the postings needed to comply with the laws of your jurisdiction. 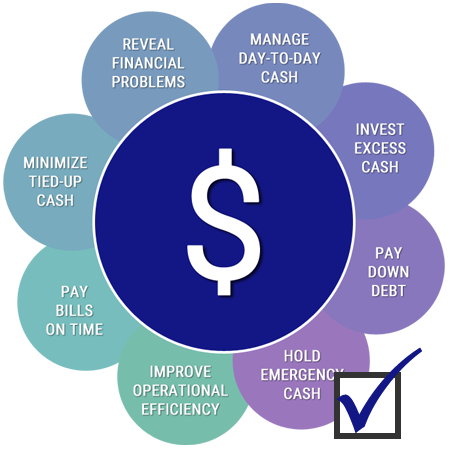 Cash is the lifeblood of any enterprise. It is important to monitor cash actively so you can take prompt action to deal with any shortfall, effectively invest any excess funds, and generally manage your organization effectively. This checklist will help you identify potential opportunities to optimize cash flow throughout your organization. 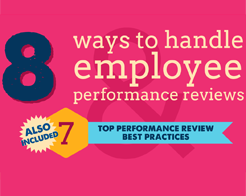 Employers need to understand where employees are succeeding and where they're failing. But managers aren't necessarily good at evaluating workers' performance, and employers have to ensure they don't discriminate against employees, violate their privacy rights, or breach their own policies or employment standards. 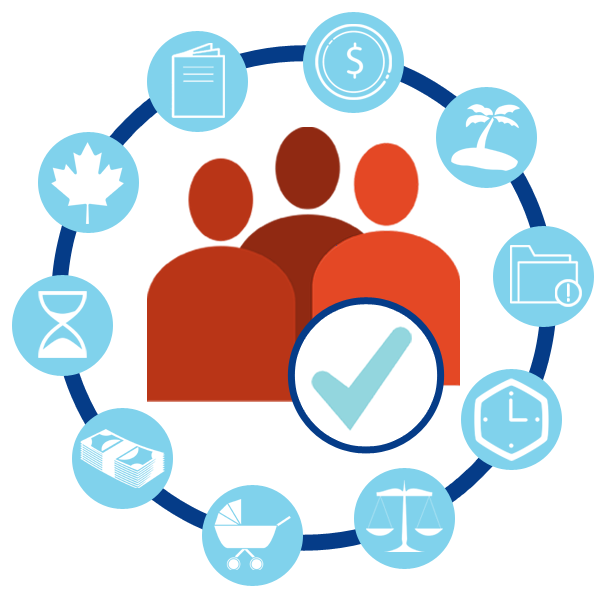 With competing legal interpretations creating three tests for when an employer must accommodate an employee's family status, and complicated by two definitions of family status, the law is not settled. 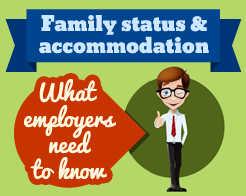 But employers need to understand their responsibilities with respect to family status and accommodation. 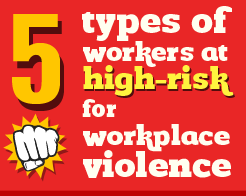 Using stats from our popular Workplace violence and harassment guide, we have created this interesting and fun infographic that helps identify the types of employees at high-risk of workplace violence. By taking a look at Google Trends and information from Statistics Canada, we also outline workplace violence and harassment data, including sexual harassment, across Canada. Minimum wage is ever increasing. In light of the 2014 minimum wage increases in Ontario, the Yukon, Quebec and in Newfoundland and Labroador, we wanted to look back at the journey of minimum wage in Canada and all of its jurisdictions. Taking from Statistics Canada and several other sources, a profile of minimum wages in the past ten years has been outlined by province.